Details have been revealed of the agreement between Myanmar and Bangladesh to repatriate potentially hundreds of thousands of Rohingya to their homes in Rakhine State. At least 623,000 Muslim-majority Rohingya have fled across the border into Bangladesh since August when a new round of violence broken out in Myanmar's west. Under the agreement, the two countries would work together to solve the huge refugee crisis and repatriate Rohingya who wanted to return to Rakhine State. The refugees have brought stories of mass killings and destruction in their former home state at the hands of the Myanmar military, which US Secretary of State Rex Tillerson labeled "ethnic cleansing" in the past week. But the Myanmar government has repeatedly denied attacking Rohingya civilians, saying it was waging a campaign against a militant insurgency. In the signed memorandum of understanding, distributed to journalists by the Bangladeshi Foreign Ministry, Myanmar agreed there would be no restrictions on the number of Rohingya allowed to return, contradicting previous public statements by the head of the country's military. It also said there would be no legal consequences for refugees who voluntarily decided to return, unless they had been involved with terrorists. All refugees would only return if they wished it, both countries agreed. News of the deal broke on Thursday when a spokesman for State Counselor Aung San Suu Kyi announced that a memorandum of understanding had been signed between Myanmar and Bangladesh. Myanmar's announcement was very short on details, however. It's unclear how many refugees actually would want to return after fleeing what the United States and United Nations have described as ethnic cleansing. Mistrust is also a huge issue. 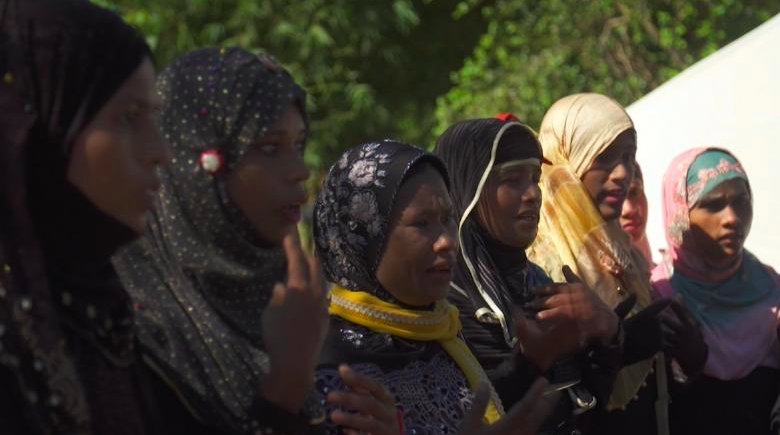 Europe-based Rohingya activist Nay San Lwin told CNN his major concern about the text of the agreement was how long repatriated refugees would be kept in temporary camps. The agreement says "Myanmar will take all possible measures to see that the returnees will not be settled in temporary places for a long period of time and their freedom of movement in the Rakhine State will be allowed in conformity with the existing laws and regulations." But some refugees who chose to return to Myanmar after fleeing a previous outbreak of violence in Rakhine State years ago are still in camps for internally displaced people. "We can't trust the government and military at all. No one should go back if they have to stay in a camp, if they are not allowed to live back in their original village," he said. "Myanmar government must restore their citizenship once they are repatriated." The memorandum also says Myanmar will verify them for return and the eventual issuing of identity cards will be based on "evidence of past residence in Myanmar." But Lwin said a lot of Rohingya documents were confiscated prior to August 25 or burned in their houses during the ongoing attacks in recent months. "I am not sure whether half of the refugees will be repatriated," he said. Vivian Tan, a spokeswoman for the United Nations High Commissioner for Refugees (UNHCR), told CNN Monday her organization has not been consulted about the agreement by the governments of Myanmar and Bangladesh. The memorandum calls for significant involvement of the UNHCR. CNN's Bex Wright and Ben Westcott reported and wrote from Hong Kong, while Kocha Olarn reported from Bangkok. Joshua Berlinger and Farid Ahmed contributed to this report.